Not Quite Shakespeare is an anthology from Dreamspinner Press, featuring 15 stories all set in the UK. It was published on June 2nd. I am delighted that Dreamspinner Press have published my short story, "The Way Things Turn Out", as part of their Mended 'Daily Dose' in June. "After a serious crash during testing, sports car driver Alan accompanies his injured teammate, Nathan, to the hospital, promising his boss he’ll stay until Nathan’s next of kin can be reached. Former F1 test driver Nathan was a recent addition to the team, and he and Alan were not on the best of terms. Waiting for Nathan to regain consciousness gives Alan time to think back over the recent races and the ups and downs of their relationship. Even when Nathan wakes up, Alan remains by his side at the hospital. Nathan is still keeping secrets and needs help more than he's willing to admit. If they can trust each other, it might open the door to an attraction both assumed was one-sided." My short story, Love and an (orange) Lamborghini, is now out on Dreamspinner Press as part of their Valentine Rainbow anthology. Now with the artwork ! Freelance journalist Will Turner is struggling both financially and emotionally since being dumped by his boyfriend. While his sports car obsessed roommate, Niki, is busy leaving notes for the female owner of a Lamborghini Gallardo parked in their area, Will takes a last-minute assignment to interview a sportsman. The attraction between Will and racing driver Tim Johnson is instant, but Tim is unwilling to risk his career by coming out. Niki has big plans for Valentine’s Day, but it will take a near miracle for any of them to find happiness. 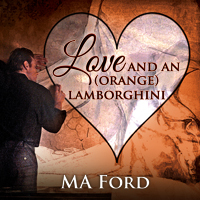 A short story, Love and an (orange) Lamborghini, will be published by Dreamspinner Press on February 2nd, as part of the Valentine Rainbow. First book, Track Limits, written and published, check. It feels both exciting and absolutely terrifying. Some people have read it and liked it, with some reviews that delighted me. And of course, others didn’t. Perfectly normal, not everyone will like the same things. But it’s the criticisms for things that I never even knew existed that I find difficult. Like being told it’s not a proper romance. There’s not enough about the main characters falling in love, not enough of their internal voices. When I started writing ‘Track Limits’, under a totally different name, I wasn’t really thinking much beyond the story I wanted to tell. A story inspired by something I’d encountered at the track that inspired me to get writing again. I wanted to tell a love story, but I wanted it to be incidental to the racing, to the life in the paddock, to the team. I think I achieved that, but it’s definitely not a traditional love story, where everything is about the relationship. I’ll be the first to admit there’s more about racing in there than there is about love. I’ve also noticed from reviews – and I love them, so very grateful that people have taken time to write such nice things – that the decision to put the glossary at the front seems to have put some people off. I’d originally put it at the back, but was advised that it might not be found until it was too late. Oh well, too late now. I’m so sorry that some people didn’t enjoy Track Limits and didn’t find what they expected from it. It was the book I wanted to write, that I’d been trying to write, in my mind at least, for years, and it turned out the way I wanted. No, it’s not a proper romance. But I don’t know what other category it could have been described as. There’s no real category of ‘motorsport love stories’. I wish there were ! And I wish that I could bring this one to the attention of people I think would like it… like all those who have written F1 slash over the years. Book 2 and book 3 are now well underway. I’m worried about book 2, as I’ve heard that people want new relationships, not an established one. And I have more to write about Mark and Jordan. Book 3 starts off with two young F3 drivers, but Mark and Jordan will have to come to the rescue before long. I have a tendency, when things are not quite right, to go back to old, familiar things. So when I’m feeling ill, I pick up the sort of book that has been with me all my life, like a Georgette Heyer Regency novel. Even before I started devouring them in my teens, they were old friends, having been favourites of both my parents, the increasingly battered copies accompanying us from house to house, no matter how far we moved. So when something between a cold and flu hit on New Year’s Eve, I retreated to bed with a new unabridged audio copy of Sylvester, or the Wicked Uncle. I’ve always enjoyed this one, but somehow Phoebe’s misfortunes as an author struck me more this time than in previous readings. With my first book having been published ten days ago, I really feel for her. Although Track Limits is unlikely to become the talk of London, as The Lost Heir did, and as far as I know there is no single distinguishing feature that I wish I could remove, like Count Ugolino’s distinctive eyebrows, if it did become the talk of the paddock, how would I feel ? What if people started speculating? Is Mark meant to be X or Y? What about Jordan’s bright green eyes? What about the Villain of the piece, Brad? Who is he? Anyone know? No – stop! It’s fiction! I did what you’re supposed to do, write what you know. But when setting a book in a familiar landscape – in this case, an imaginary racing series and real racetracks –there is always a risk that people could read more into it than was ever meant. The characters and situations came out of my imagination, and if some minor details may be reminiscent of real people, it was never intentional. But even if any of the GT drivers around the world feel themselves to have been caricatured in Track Limits, at least it shouldn’t result in a kidnapping and flight across France, like poor Phoebe in Sylvester ! Many, many thanks to the website The Good, the Bad and the Unread, and to Stevie, for featuring Track Limits on their site today. The book received an A grade from Stevie, and a really lovely review. And also, an interview with a chance to win a copy of the book. Please check it out, and many many thanks to all concerned ! Many thanks to Charlie Cochrane, who writes the wonderful Cambridge Fellows books, starring Jonty and Orlando, and who featured me as a Guest Author on her Blog today ! The interview is here ! This was my first time, as far as I can remember, of being on the side of answering the questions instead of setting them... quite a strange experience. But I really enjoyed it. Many thanks, Charlie ! In case anyone is interested, I've posted a couple of out-takes from Track Limits. 'Track Limits' was published today by Dreamspinner Press. “Yes, but who—” Mark asked, trying to get a word in edgewise. It was too late. With a brief “Catch you later,” Randy hung up. “Did you ask about the brake discs?” Dave called from across the workshop. “Tony? Tom? Something with a T,” Dave mused. To read some more, visit Dreamspinner Press and click on the Excerpt link. "Track Limits" will be printed on December 27th, in just a few days time. But this book has been a very, very long time in getting to this stage. In fact, it began very nearly 20 years ago, when I started writing a science-fiction story, the background of which was 'Formula One in Space'. A friend suggested that I should get behind the scenes at a race track to gain some background information. But once I took her up on that suggestion, I became rapidly sucked into the motorsport world. Returning to my teenage ambitions of being a sports journalist, I spent nearly fifteen years writing articles, press releases, race reports and news stories. It wasn't until a change of direction curtailed my writing that the fictional motorsport world began to take over again. 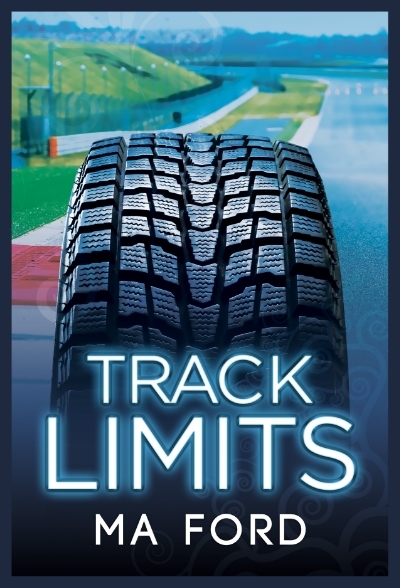 I started to write Track Limits in late 2011, and finished it in 2013, and was persuaded to send it in, and was both astonished and delighted when Dreamspinner Press decided to publish it. I just wanted to clarify a few things. The characters are all fictional and are not meant to represent any drivers, past or present. If anyone thinks they recognise someone, or any specific details, please rest assured it is entirely unintentional. The circuits are real, and I've tried to keep true to the reality. The cars all exist. But the series, the races, the organisation and, last but not least, the teams and drivers, are all a product of my imagination. Track Limits - out soon ! I am delighted and excited to announce that my first novel, Track Limits, will be published on December 27th by Dreamspinner Press. "Is motorsport ready for a gay driver? As the opening race in the Global GT Challenge approaches, lead driver Mark Hunter struggles to regain his confidence after Randolph Racing’s last disastrous season. Mark hesitates when owner Randy says he’s found the perfect replacement for their arrogant previous teammate, Brad Wilkins. Former single-seater star Jordan Matthews is excited to join the crew and ready to put past troubles behind him. Trust builds as Mark and Jordan become a fine-tuned team for the number 17 Saleen, earning a podium in Abu Dhabi at the season opener. Their friendship develops into more as they continue to earn prestige for Randolph Racing. But their success sparks jealousy, and people from their pasts threaten vengeance. Jordan is reluctant to ruin his fresh start in racing by exposing the secrets that almost cost him his career ten years ago. If he can’t take the risk, he’ll never realize his dream of kissing Mark on the winner’s podium."